Let's assume you are in possession of a time travel device or some fringe wormhole portal with possibility to take you way backwards in time and back. If I had one, I would probably turn myself into some sort of time paparazzi and returned with tons of high quality digital photographs of history events, places and people. Well, never mind that, time travel always opens lots of questions, but in light of today's 'what-if' thought experiment, let me ask you one question. So, what would you do, if you, during your time travels, stumbled into some sort of natural disaster in the middle of some tribal settlement of late stone age, around, say 7000 years ago and realized there was just one survivor - a small boy, around 2 years old, endlessly crying in the bottom of his destroyed tent? After little hesitation, you realized you are his only hope so you took the boy and went through the portal with him back into our time. What do you think will happen with the boy? Would he learn to adapt into our modern times even though he skipped 70 centuries of evolution? Science says yes. He would grow up just like any other kid from our neighborhood. You wouldn't see the difference. Neither would he. The same would be even if we go further back in time and around 10.000 years ago bring back a baby girl from a small food-pickers and hunter family that lived in some sort of cave shelter, way before invention of modern settlements, small societies and agriculture. She would grow the same as your kid or mine, learned language well, go to school and had no idea that she would be 10 millenniums old, so to speak. But, is there a line in the past that, if you go back in time before that line and bring a human baby to your home today, makes the difference? So much that baby would never have a chance to adapt. Evolution point in time that separates humans from their animal ancestors? The timeline, that humanity as we know today starts? Of course this spot in human history is surely not a single date or a year or even a decade. Evolution is definitely a very slow process and modern humans, even though originated in Homo sapiens and their major great migration from Africa around 70.000 ago, have more complicated roots thanks to other 'Homo' species developed separately, especially those with whom they shared the habitat. And if we exclude mysterious Denisovans only recently discovered in Siberia and 'Homo floresiensis', aka 'The Hobbits', who lived in remote Indonesia, the only closest extinct human relative who coexisted with Homo sapiens for more than 5.000 years in nowadays Europe and probably even more in Asia are historically famous 'Homo neanderthalensis' or simply the Neanderthals. 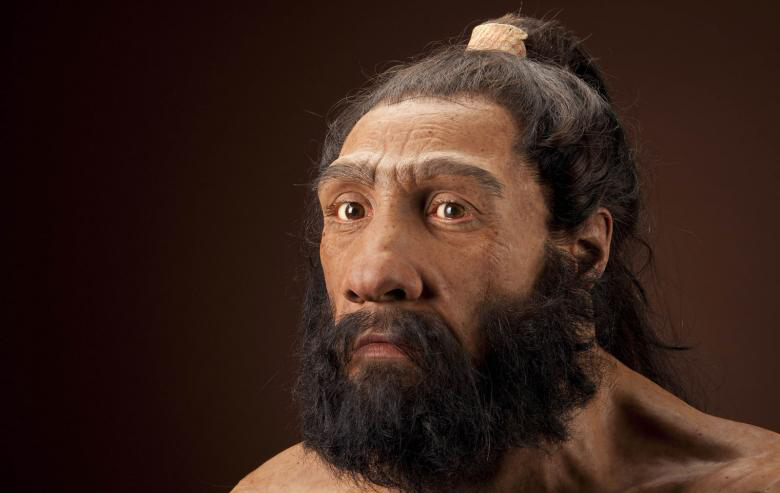 Majority of scientists believe that both Neanderthals and Homo sapiens are descendant from a species named 'Homo heidelbergensis' who predates them both and got extinct about 200.000 years ago. And to finally answer the question of when exactly modern humans started to cross the line without return and to ultimately become whatever we are today, I think it was about in the times of sharing the planet with Neanderthals or within those 5.000+ years of mutual life. Not only that we shared the same neighborhood with them but our friendship during that time evolved into much more, including, well, 'love' is to new word for those times but definitely interbreeding that left strong marks in our genes ever since. It was the real birthday of civilization. The very civilization which is today, if you ask me, in it's early turbulent and teenage years. But before we dive a little into Neanderthal species and their 'interbreeding ' with Homo sapiens, let me share just one short digression, related to above image. I wanted for this post to do some photoshopping and to transform my face into neanderthal face, like to enhance nose, add some wide bone structure with forehead shortened. I though it would be nice touch to make such photo and in meantime to see how would I look like as a neanderthal. However, it turned out that I didn't need to do any effort - I was lucky as soon as I started surfing in order to learn more about face features and stumbled to smartphone app directly from Smithsonian - called 'Meanderthal' that does exactly that! And pretty scientifically and successfully as well. So there it is, a very recent photo of me swimming with Viktor this summer, transformed into both Neanderthal and Heidelbergian. So now I know how would I look like 200.000 and 40.000 years ago. Science proved it's coolness again. Try it. It's a lot of fun. Ok, let's get back to Neanderthals. As for their extinction, there are several proposed theories and they are all probably right and combined made entire species extinct. Around 45.000 ago, when Sapiens migrated to Europe, soon enough, they encountered Neanderthals who lived in small and sparsely scattered groups across the continent. It was their way of living. Due to bigger numbers, our ancestors started grouping and organizing in bigger communities and outnumbered natives greatly which over the millenniums ended in full replacement in all colonies. Next theory, which we know for fact from our own recent past, was the event in history when Europeans invaded Latin America and brought wide variety of viral and bacterial diseases to the New World, infecting natives and over time, devastated the native populations of many islands and villages deep inside mainland. The same could be very much possible with encounter of Homo sapiens and neanderthalensis and with keeping in mind vast numbers of newcomers, potential diseases they were immune to and brought with them would have potential to decimate vulnerable Neanderthals and left them to the edge of extinction in a very short time. If that really happened, the rest of neanderthal survivors would over time merged with new inhabitants through the interbreeding and disappeared only as a tiny percentage of the new genome of the resulted slightly changed species, or Cro-Magnons which was the name of those Homo sapiens who interacted with Neanderthals back then in southern Europe. But how big was that small change? And how much today we carry our neanderthal ancestor heritage? And was it good exchange of genes? Well, obviously, it was very bad for them, as they, evolutionary speaking, extincted very soon after interbreeding started and the hypothesis is that female humans interbreeding with male Neanderthals successfully ended in healthy offspring, while the most of female Neanderthals 'who spent the night in cave' with male Cro-Magnons failed due to medical incompatibility between two species. The medicine reason for this might be related to blood types and Rhesus factors which in case of incompatible breeding can result in creation of antibodies during pregnancy that attacks the fetus blood and results in miscarriage and sterility. 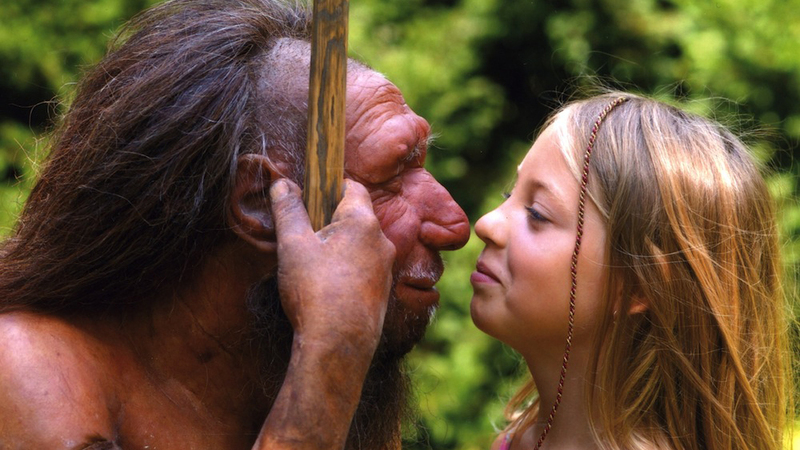 However, in the successful inbreeds, inherited over time, all the way till today, resulted human DNA contains 2-4% of original neanderthal genes from the pool of 20% of neanderthal's genome. And by inbreeds I mean all of us, except people who staid in Africa in last 70.000 years after last migration of humans crossed the Red Sea and populated entire world. Genome sequencing is still young science and many things are still unknown and I would say considered more as 'scientific guesses' than facts but, from all we know today, these 20% of neanderthal's genes on the bad side of the stick gave us greater risk for diseases such are lupus, diabetes and even tendency toward smoking behavior. On the good side it seems that Neanderthal alleles (gene versions in chromosomes) helped Homo sapiens from the time to adapt to non-African environments especially to colder climate and severe weather variations. Neanderthals emerged as a species about 600.000-400.000 years ago and finally got extinct around 40.000 years before today. They were robust men with shorter limbs, wider ribs and bones, reduced chin, large nose and eyes with larger areas in brain devoted to vision with larger brains overall. They were also much stronger than Homo sapiens at the time and also very intelligent hunters, more than capable to hunt down everything in their habitat, from aurochs (I mentioned them recently in post Stone Age of Iron Gates) till the mighty mammoths (word or two about them in post Mammoths of Moesia Superior). Some evidence suggests they were also good at sea and rivers, with manufacturing canoes and small watercraft. Until today, there are about several hundred fossils of Neanderthals, scientists used to learn great deal about them, including mapping their entire genome and finding proof that they also ate cooked vegetables and plants. Oh yes, they also very likely spoke sophisticated language for that time in evolution of speaking features. Neanderthals were one great try-out of the mother nature to create modern humans (if that's what we are) and we could only wonder how evolution would take them all the way til today if Homo sapiens didn't escape Africa 70 millenniums ago. However, their extinction or assimilation into us gave artists, writers and conspiracy theorists lots of space for many speculations including farstretched like the one identifying Basque ancestors to be fully neanderthal based. 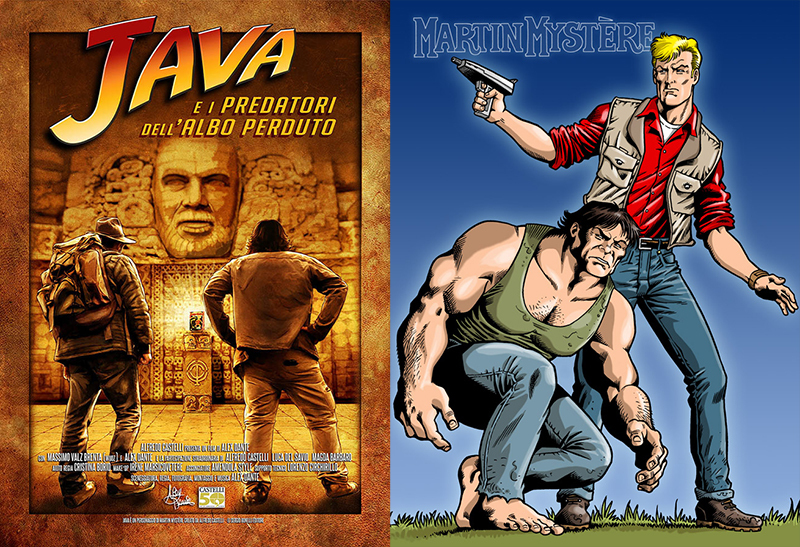 Personally I liked the best a comic book from my childhood named by the lead character Martin Mystery with Java, neanderthal man and his best friend, portrayed with superhuman strength, great bond with nature and high sensitivity for paranormal phenomena. I don't know about you but DNA research alongside anthropology and genealogy are fascinating young sciences and I am always eagerly reading about new discoveries and hypotheses. I will be definitely looking forward for new facts and especially what more we can learn about those 2-4% of neanderthal genome inside us.